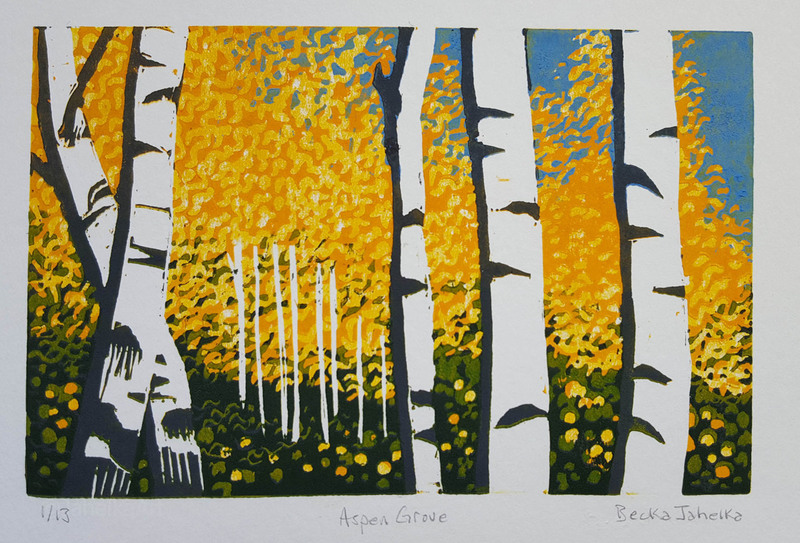 This reduction print shows the sun shining on a grove of aspen trees as seen through the trunks of nearer trees. This is a limited edition of 13 prints. There will be slight variations among the prints due to the nature of inking and pulling the prints one-by-one by hand. The printed image is 4 by 6 inches on 8 by 10 inch acid-free paper.